In the family of green vegetables, few are as statuesque as asparagus, often referred to as soldiers. The long, skinny stalks have been around for centuries, even listed in one of the world’s oldest cookbooks. Yet, somewhere along the way the inherent sophistication (or perhaps spiky appearance) has intimidated some home chefs that often assume the cooking process takes extra finesse. In actuality, asparagus is one of the most low-maintenance vegetables you can prepare, with little actual prep needed and a fast cooking time that can reap the slightly tender texture that tastes great on its own or alongside different kinds of protein. Cultivating asparagus can be more problematic, especially in areas where extreme weather is an issue, but fortunately batches of these hearty spears are common in many grocery stores and farmer’s markets making it a readily accessible plant source that can be regularly enjoyed. The most familiar type of this vegetable is green, of course, but there are also a couple of other colors to choose from that each have their own unique characteristics. The prototypical type that can be found at the market and in restaurants is green asparagus, which is grown specifically for commercial purposes in most countries. Its color comes from the plant process of photosynthesis, or when the spear emerges from the soil it’s grown in and is exposed to direct sunlight. The darker green and glossier the spear appears, the more tender and tasty it will be. The purple variety, also known as viola, contains roughly twenty percent more sugar than the other types of this vegetable. The vibrant hue comes from a high concentration of anthocyanins, potent antioxidants that have been known to protect against a number of diseases in humans. 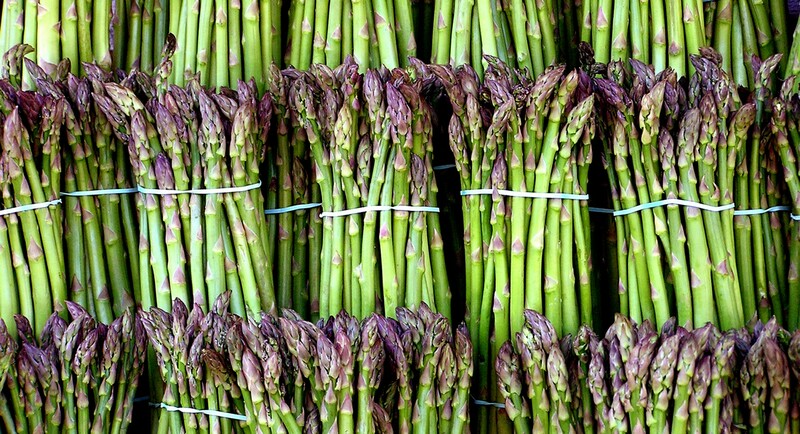 Fresh purple asparagus tends to be thicker and crispier and has a more fruity flavor than the other varieties; it also has lower fiber content. White asparagus, which takes on a creamy or ivory color, is continually planted under heaps of soil as it grows. This process blocks out the sunlight, which is essential for photosynthesis and the production of chlorophyll. Because of this, there is a neutral appearance. White asparagus is also differentiated by more fibrous, stronger, and bitter characteristics. It is more expensive due to the limited supply and high costs of production. It can be found in the U.S. at gourmet food stores and local markets, although it remains more common in Europe. Some domestic growers cultivate white asparagus specifically for canning. 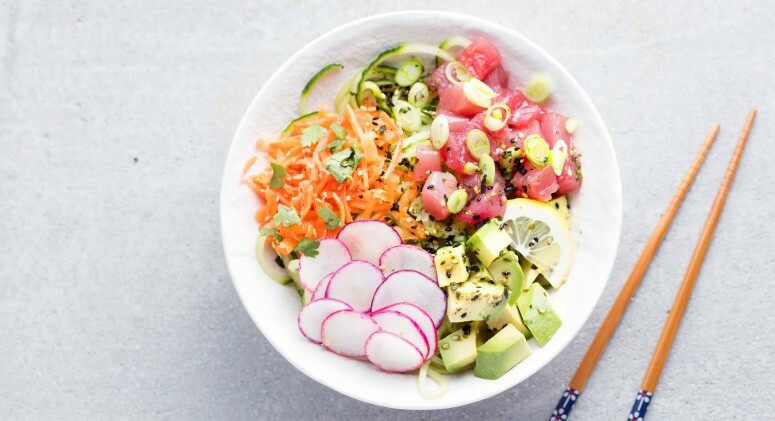 More than just looking pretty, asparagus also has an incredible concentration of vitamins and minerals that can help with overall health and well-being. Fiber: This dietary compound is important for digestive health and regularity, and also provides a feeling of fullness after eating, which cuts down on cravings and overeating. Folate: Along with the B vitamins present in asparagus, folate encourages brain development and mental acuity. The mineral is essential for pregnant women in particular as it encourages healthy brains in utero, too. Vitamin A: One of the most important vitamins for eye health, it prevents macular degeneration and cataracts and also promotes better night vision. Vitamin C: It’s a great immune supporter and antioxidant that can help stave off cancer and other human diseases. Vitamin E: This moisturizing and nourishing vitamin helps encourage healthy regeneration of hair, skin, and nails. Vitamin K: Just one cup of asparagus has 110 percent of vitamin K, which promotes healthy blood flow and bone strength. Antioxidants: Asparagus is one of the leading vegetables for antioxidant compounds, which help fight off damaging free radicals. In particular, each stalk has a good amount of glutathione, which breaks down carcinogens and can protect the body against several types of cancers. Amino acids: The body needs amino acid proteins to thrive; asparagus has a good amount of asparagine, which acts as a natural diuretic that rids the body of excess fluid and salt. Prepping starts from the beginning with the proper selection of the vegetable, then moves on to cleaning and eventually cooking. Asparagus is freshest during the spring months, but these particular batches tend to go quickly since they are in season for such a brief period. No matter when you purchase it, though, the steps needed to bring asparagus to your plate are essentially the same. Only buy stalks that are fresh and bright green, and that can stand straight on their own, without being too bendy or floppy. Also be sure to check whether the ends are well cut. Pass on any dry, split, or extremely woody stems, as these are signs of an older plant. When it comes to thick or thin asparagus, it’s solely a matter of personal preference: Thin asparagus is more tender and cooks more quickly with a crispier outer shell and softer center. Thick asparagus, on the other hand, takes longer to cook and is bulkier. Either type is great regardless of how you cook it, with the only difference apparent in the final texture. Thick asparagus has more rigid stems that need to be peeled before cooking. More locally-grown plants are also frequently cultivated in sand, so these batches may have some residue left in the cracks and crevices. The best way to remove this debris is to wash your asparagus in cool running water for several minutes. Fill a large bowl with water and immerse the stalks completely to ensure the removal of any sand that is hiding in the tips. After washing, dry the spears by rolling them between kitchen towels. Depending on preference, you can leave stalks whole or cut them into small, bite-sized pieces. The asparagus base is tough and isn’t always palatable, even when cooked. To remove it, you’ll want to first estimate by hand how much to break off. Hold each spear with two hands and gently bend until you feel the spot where it gives. Break the spear and discard the end. For an even quicker option, you can also place a line of asparagus on a chopping board and cut about two inches from the bottom of the spears. Asparagus can be consumed raw, or you can cook it, using the style that appeals to you most. Blanching is the most popular method of cooking asparagus since it’s fast and nearly foolproof. First, drop the spears into a large pot of boiling water, cover, and cook for about two minutes until bright and crisp. Then, remove and immediately plunge into a waiting ice water bath. This halts the cooking process and helps the asparagus to maintain the texture and color. This style of cooking is ideal for serving asparagus in cold salads but also useful for side dishes, too. Here’s one other tip: Tie stalks together with butcher’s twine or lemongrass to make it easier to quickly remove from the hot water. Boiling is another easy way to cook asparagus, though you have to be careful not to overcook the vegetable as it can become quite mushy. Put the spears in boiling water and cook for about five minutes, depending on thickness. The spears should be barely tender and ready to serve. Steaming is ideal because it locks in nutrients and maintains the crunchy appeal of asparagus. The best way is to use a steamer basket. Simply place two cups of water in a saucepan and place the steamer basket inside. Heat the water to a simmer before breaking the vegetable into manageable lengths. Immerse them in the basket and cover for about seven minutes until the stalks turn bright in color and crispy. Remove and serve warm. Roasting gives asparagus an even richer flavor. Preheat the oven to 425 degrees Fahrenheit. Place the spears on a baking sheet in a single layer. Coat in olive oil and season with salt and pepper (or even grate some cheese). Roast for about 15 minutes until the stalks appear charred and bright in color. Just be sure to be mindful of time—if you leave them in the oven for too long, the stalks will overcook and possibly even burn. Few things are tastier than grilled vegetables, and asparagus is no exception. Heat up a charcoal or electric grill and place a few spears on the grilling plate. Cook for about three minutes on each side. Asparagus is very common in Asian cooking, especially in stir-fry and salads. Heat up a wok with some olive oil and then place the spears in when the pot is warm. Using a wooden spatula, stir the asparagus until soft and bright green (about six minutes). Add carrots, mushrooms, and green pepper for a tasty combination you can place over some white or brown rice. A splash of coconut aminos and a handful of sesame seeds adds great flavor, too. There’s also nothing wrong with eating asparagus raw. (Raw asparagus is especially good when paired with radish and feta cheese.) In fact, purple asparagus loses its color when cooked, but when used raw it can be a great tool for presentation and plating. Fresh stalks are great for salads; add some white wine, apple cider vinegar, and extra virgin olive oil for added flavor. 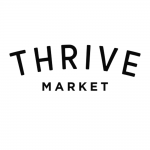 Here are some of Thrive Market’s favorite ways to enjoy this hearty green stalk. 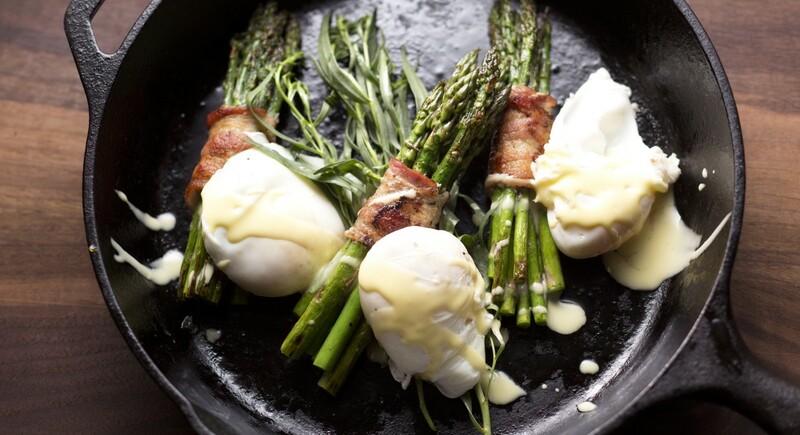 Who needs English muffins when you can have bacon-wrapped asparagus? This Paleo-friendly meal swaps in the vegetable to add some texture to a dish of poached eggs with Hollandaise sauce. To cook, you’ll also need some ghee, lemon juice, cayenne pepper, vinegar, olive oil, and Maldon sea salt. Both pretty and pleasing, this dairy- and gluten-free quiche starts with a crust made of almond flour and fresh thyme and then layers on all the spring greens including asparagus, broccolini, zucchini and peas. Great for weekend brunch or even breakfast for dinner.